I haven’t had a chance to drink too much at new breweries or tap takeovers these days. I miss getting out and trying new beer and hopefully will get out more as 2014 carries on. Even though I haven’t gotten out to some local Indiana craft beer events or breweries I have made it to some craft breweries in states bordering Indiana. 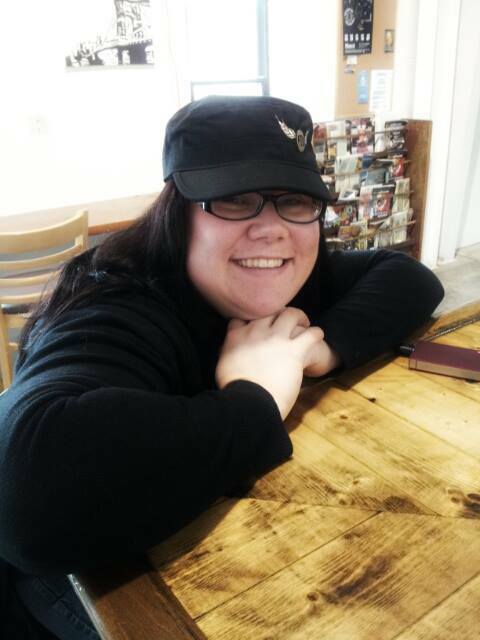 A few weekends ago I was out and about in Cincinnati. Made my regular trip to Jungle Jims, which I highly suggest popping into if you are ever in Cincinnati, they really have a great selection of beer. 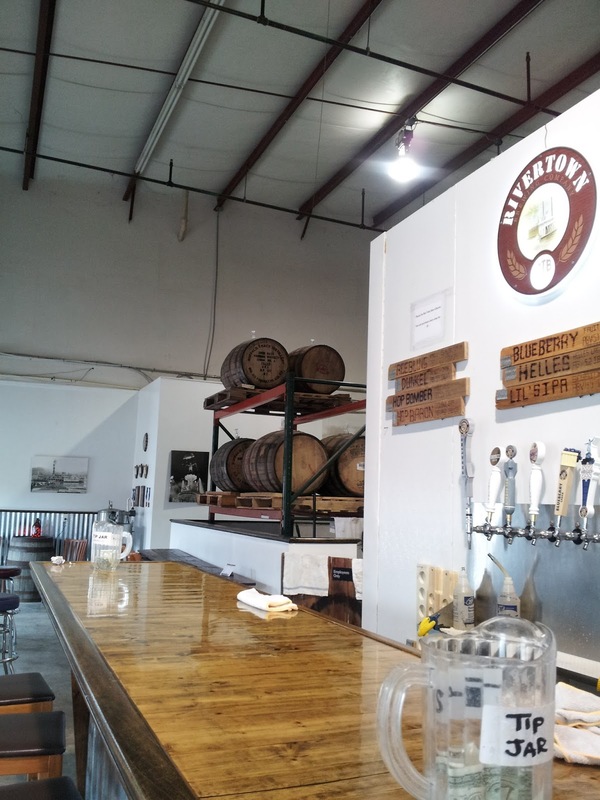 After Jungle Jims I popped into Rivertown Brewing Co.. I will say, you have to know where you are going to find Rivertown. It is in the middle of an industrial park. Once inside you are greeted with barrels of beer aging, and a nice little bar. 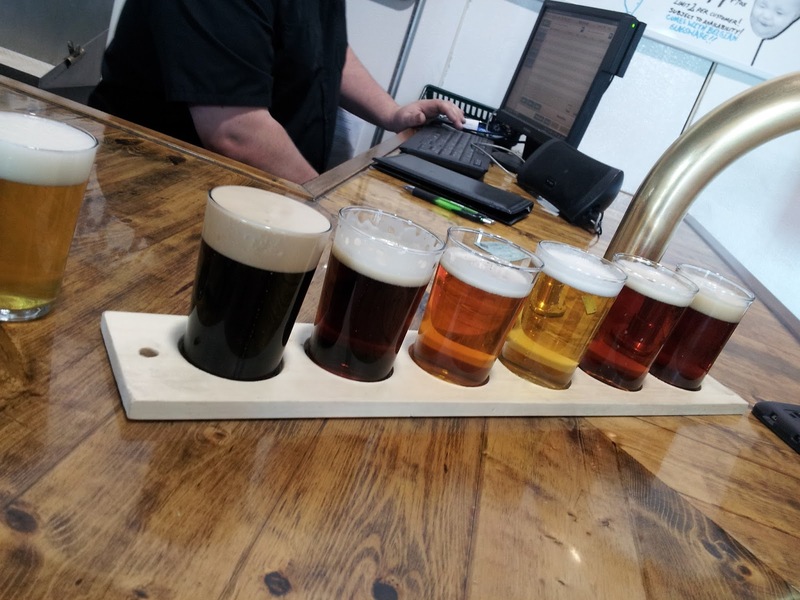 It was quiet Saturday afternoon, not yet busy so my friend and I got an opportunity to get a flight and talk with the taproom associate on staff. Of course the first thing I ordered was a flight. If a flight is available, I’m all for trying as many new beers as possible. I did cheat, in my flight the first thing I ordered was the Roebling Imperial Robust Porter. This beer caught my mouth back at the Beer Blogger’s Conference. I love how the vanilla blends well with the espresso. Generally espresso is bitter but this beer makes it nice and smooth. Next on the flight was Dunkel, which was nice. Had a slight toffee flavor to it. The rest of the beers were Hop Bomber, Bock Lager, Brewmaster’s choice which was a blonde. All decent beers, but the stand out besides the Roebling was the Winter Ale. It had a molassess, spice mouth feet that literally felt like chewing on a gingerbread cookie. I’d definitely say it was my second favorite. My suggestion? Pick up a 6 pack of Roebling if you can. 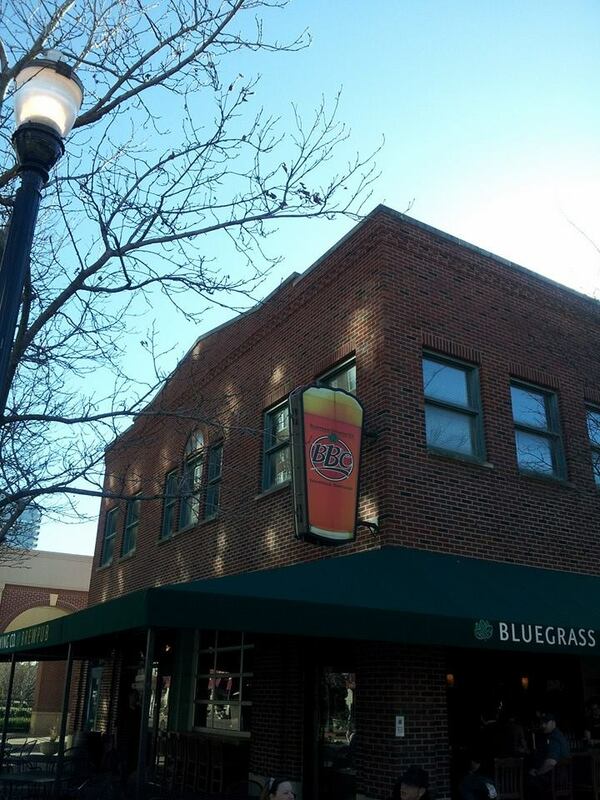 This past weekend I stopped by Bluegrass Brewing Co. brewpub on 4th St. in Louisville. BBC’s Bourbon Barrel Stout was the first bourbon barrel beer I tried. Immediately I fell in love with the concept and the flavor of beers that were aged in bourbon barrels. That extra creamy, vanilla undertones complimented the stout even straight out of the bottle. I was excited trying a pint of it from the tap, at the brewery it was made. Of course I also went and ordered a flight to try the more of the BBC lineup. (Because more beer trying is never a bad thing). I was a little hesitate for trying the green beer. After all, it is a little gimmicky due to St. Patrick’s Day. 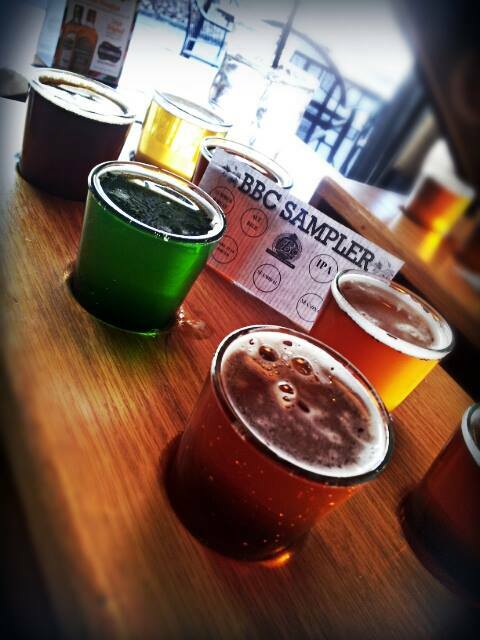 The lineup for the flight was: a Dark Star Porter,a Alt Bier, Wit Bier, an IPA, an APA, a Blonde and a Smoked Rye. I really liked the Smoked Rye, which was surprising because I don’t really like smoked beers. They can be a little over powering. I also don’t really like rye beers but something this beer had a nice flavor that wasn’t overpower in the heavy smoke flavor. If I didn’t already have plans for having a pint of the Bourbon Barrel Stout, I would’ve had a pint of the Smoked Rye. The food at BBC is also very well. A mix of southern with having fried green tomatoes. And a little bit of other southern inspirations as well with the burger toppings and entree offers. I highly recommend getting a pint, a bison burger smokehouse style, with garlic fries and an appetizer of green tomatoes. Or just beer. Because according to BBC – Beer is Food. It’s been nice adding more breweries to my list of visited places. I hope to add more of our new up and coming Indiana breweries as well. If anything, I highly suggest popping down to KY or over to OH and trying out Rivertown or BBC.